This Trailer Bearing Repair Kit includes everything you need to replace the wheel bearings on one trailer hub. 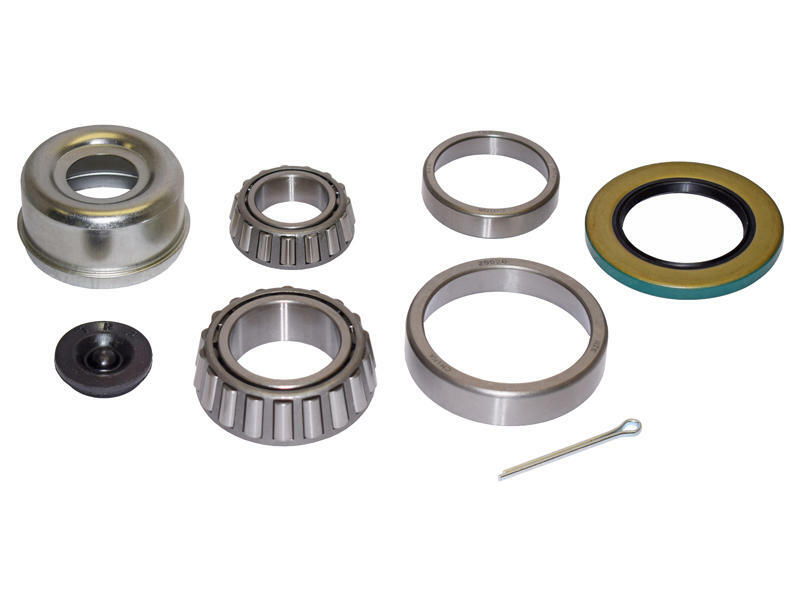 This kit is for 6-bolt hubs on axles with a 1-3/4" to 1-1/4" tapered spindle and includes 2 bearings, 2 bearing races, grease seal (SL-213) 2.125 I.D, cotter pin, dust cap and plug. Dust cap - 2.44 O.D.